Poll: Should sugary snacks and drinks be banned from hospital vending machines? New proposals would see such products removed from hospital vending machines. 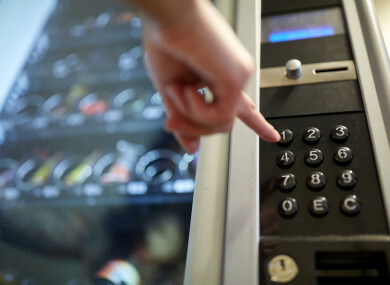 NEW MEASURES SET to be brought in by the HSE will limit what foods and drinks are available in hospital vending machines. The Irish Daily Mail reported this morning that sugar-laden fizzy drinks and any snacks over 200 calories will be banned in the future from these vending machines under the new proposals. This would effectively mean bars such as Kit Kats, Mars bars and cans of cola from the over 400 hospital vending machines in the country. So, today we’re asking you: Should sugary snacks and drinks be banned from hospital vending machines? Email “Poll: Should sugary snacks and drinks be banned from hospital vending machines?”. Feedback on “Poll: Should sugary snacks and drinks be banned from hospital vending machines?”.